A clean workplace from the ground up is crucial to your business for many reasons. The main one being that it portrays your company or business in the best light possible. Equally vital, is that cleanliness translates to fewer germs, fewer sick-off days and a healthier working environment. While many commercial cleaning services pay attention to dust on visible surfaces, carpets are easy to forget despite their size and the fact that they’re constantly being stepped on. Regular carpet cleaning is essential to ensuring your carpet lasts longer. People are always spilling tea and other foodstuffs on carpets, which may result in permanent soiling and weakening of the fibers. By having your carpet cleaned regularly, you can prevent spots from becoming permanent or wearing the fibers out. You also keep the fibers looking healthy and in good condition. With proper cleaning, your carpet should last longer. The longer stains and spots are allowed to soak into the carpet, the harder it becomes to clean them. Keeping your carpet in the same condition is important which is why the stains and spots have to be removed immediately. It is important to remember to use the right products when removing the stains to avoid damaging the fibers. Keeping the carpet stain free keeps it looking impressive and appealing. Carpets often trap dust, dirt and mold spores that can affect the quality of air in your office. In addition to altering the quality of air, it can also lead to diseases and allergic outbreaks especially for workers with respiratory problems. However, with regular carpet cleaning, you can protect your employee’s health and maintain a good office environment while saving yourself the losses associated with employees missing work. Eliminates allergens, mites, bacteria etc. Furthermore, carpets are also a breeding ground for mites, allergens, and bacteria. When carpets are kept dirty and moist, they become the perfect habitat for germs and bacteria to multiply. This can lead to disease outbreaks in the office. Commercial cleaning companies can clean and disinfect the carpets making them safe for indoor use and preventing any disease outbreaks. 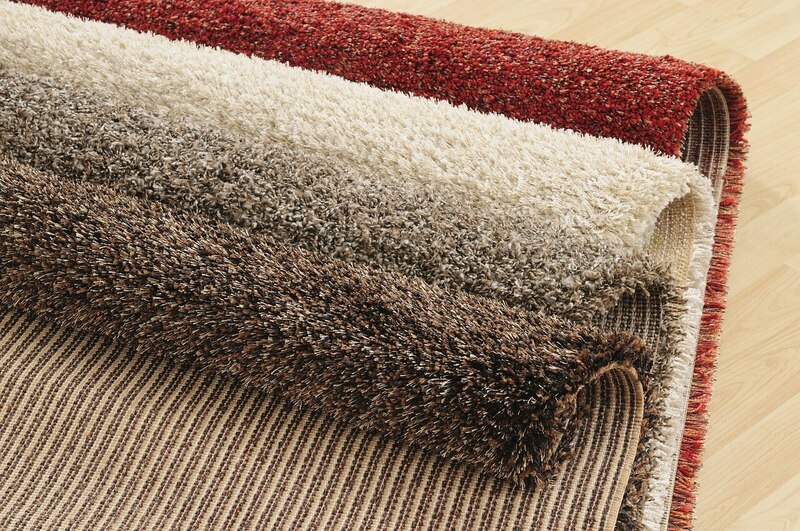 Did you know that a carpet is the largest furnishing in a room? It is also the most commonly used. Considering the amount of dirt it collects on a daily basis, it’s a surprise that it’s cleaned less often. Giving the carpet a good scrub once in a while can help to liven up the office, make it look cleaner and also prolong the life of the carpet. Much like the cleanliness of a school affects student performance, workplace cleanliness also influences employee performance. Dusty carpets not only carry dirt in them. They also carry allergens that can cause the employees to work slower as they battle through the allergies. In a worst case scenario, your employees might even miss work if the conditions get serious. Ultimately, the longer the time taken to complete duties and also the work days missed translate to lost money and revenue for your company or business. Just because the carpet is dirty. Areas of the carpet that receive a lot of foot traffic such as pathways and kitchens will deteriorate much faster compared to other areas within the office. This is because people are always stepping on these places and leaving dust and dirt on the carpet. Also, you may have noticed that these areas appear darker than other parts. However, the advantage of carpet cleaning is that it will slow down the “traffic lanes” by removing deep-sitting dirt. The darker areas will be removed and the fabric restored to give the carpet a new look. After seeing how important it is for your business and your employees to keep the carpet clean, the next step would be to identify the best type of cleaning for your carpet. Luckily, there are plenty of options available. This is an effective and safe way of carpet cleaning. The method penetrates deeply into the fabric of the carpet using strong jets of hot water. If it has been long since your carpet was cleaned, this is the perfect cleaning method to remove all the dirt, dust, bacteria and stains. Regular vacuuming is the best defence against dirt, dust and small particles on your carpet. The method involves removing dirt and dust while they are on the carpet’s surface. It is recommended for areas with high traffic and should be done frequently. This method is especially important in places where people have allergies or asthma. It involves blasting out smells from the office carpet with odor-removing techniques. Things that may cause unpleasant odors on the carpet include bacteria, water damage, and spills. Using the deodorization commercial cleaning services can get rid of the odor as well as the bacteria and stains that cause it. Spots are inevitable on all carpets. It makes no sense to have the whole carpet cleaned because of one spot. This is why spot cleaning is important. For the best results, you have to follow procedure and instructions. For instance, you shouldn’t scrub. If you do, you only push the stain deeper making it harder to remove. If you’re not sure about how to proceed with the stain, you can get in touch with a commercial cleaning service, and they can have it removed for you. Also known as encapsulation, bonnet cleaning is a low-moisture deep cleaning procedure that uses a rotating floor machine with a cleaning pad. While moving over the carpet, the agitation causes dirt to appear at the surface after which it is absorbed by the cleaning pad. This method also helps to prolong the life of the carpet. Bonnet cleaning can be done about three times between extensive extraction cleanings for a cleaner looking carpet. There are plenty of benefits to keeping your carpet clean at the workplace. Not only does it look great even to your visitors, but it also makes it easier and fun to work in the office without difficulty. Your employees find it easier to keep up with work instead of paying visits to the doctor and most importantly, it helps your business make money while minimizing losses. Why consider buying a home in St. Augustine, Florida?